Next, You will either bring your failed media device to our office in Kahului or ship it to our clean room lab where we will perform a free evaluation of your hard drive, flash drive, camera card or single drive NAS device. Our evaluations are normally completed the same day we receive your media device in our lab regardless of what service you choose. For RAID's, we need to go through the entire recovery process to accurately provide you with a firm price for recovery. This is due to the complex nature of RAID system architecture. Because we have over 100 active cases in our building at all times and not every client has time sensitive data, we offer four speeds of data recovery services to meet the needs and demands of our Kahului Hawaii clients. Kahului Hawaii customers can choose our Budget Service and get the nations best data recovery service at a fraction of the price. Our Budget data recovery service turnaround time is typically about 2-4 weeks for most cases. We still guarantee successful recovery of your data or there is no charge and we still promise the best possible effort. We simply won't give up on your complicated data recovery case until we have exhausted every possible solution to recover your files successfully. Even if we lose money on your case in the process. 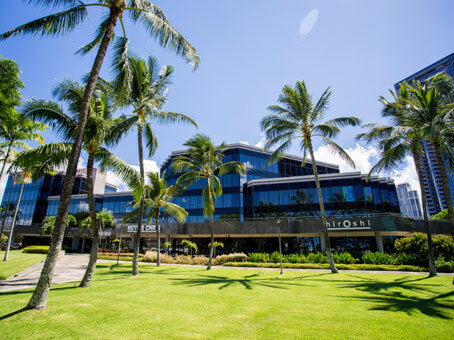 RAID Recovery for Kahului Hawaii Business and Individuals. If your RAID array or multi drive NAS, external USB, Firewire, eSATA or Thunderbolt RAID device has failed, we can help you recover your data. We perform RAID data recovery from RAID 0, RAID 1, RAID 5 RAID 6, RAID 10, RAID 50, RAID 55, RAID 60 and more for customers from Kahului Hawaii and surrounding areas. We can recover data from RAID servers that suffer multiple hard drive failure, hardware failure, logical failure, user errors and natural disasters. If your RAID has failed, we highly recommend you turn it off and do not continue to attempt data recovery yourself. If your RAID is no longer working properly, do not perform rebuilds, do not run check disk and do not start replacing RAID member drives. A simple mistake like that can cost you any chance of a successful recovery of your files. I live in Kahului Hawaii, Do you have a way I can recover my data myself?